WHY MONITOR SEA OTTER ACTIVITY? Sea Otter Savvy, US Fish and Wildlife Service, California Department of Fish and Wildlife, Monterey Bay Aquarium and Friends of the Sea Otter invite you to join efforts to monitor sea otter behavior and activity at selected locations on the central California coast. Research is an important component of the Sea Otter Savvy program. Our goal is to assess and mitigate the effect of marine recreation activities on sea otters. In order to better understand the effects of human-caused disturbance as well as assess the efficacy of program measures, we are monitoring sea otter behavior in designated study areas while simultaneously monitoring the proximity of water craft and other potential sources of disturbance. Our Citizen Science Team collects data that will be analyzed, published, and used to informed agencies tasked with protecting sea otters in California. Volunteers are needed to help observe sea otters, and record data on behavior, presence of disturbance stimuli and other information. Citizen science team members work in pairs to complete scan “sessions” within designated areas. During each 2-hour scan session, observers will scan a defined area every 15 minutes using binoculars or spotting scope and record data for each otter within that area. Data will include sea otter behavior, group size, proximity and type of water craft, and certain environmental factors. Between scans observers engage with the public, providing information about the research they are conducting, sea otter natural history and conservation, and responsible wildlife viewing. 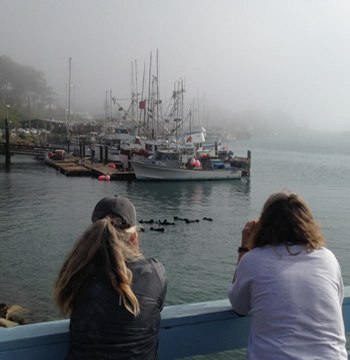 Volunteers in San Luis Obispo county may also participate in weekly counts of sea otters in Morro Harbor. Volunteers are required to commit to at least 1 3-5-hr shift per week for a minimum period of 3 months. We will be collecting data across all daylight hours and each shift may be variably scheduled between dawn and dusk. 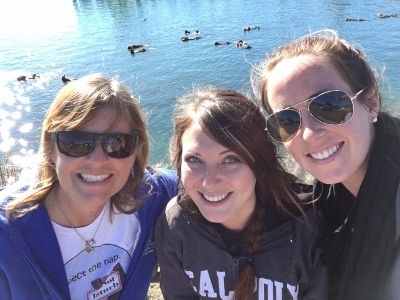 All volunteers are trained how to observe sea otters, how to recognize a range of sea otter behaviors, and how to create records of their observations consistent with project methods and objectives. Volunteers will be provided with training and materials so that they may provide accurate information relevant to project objectives with the public. Patience, a good sense of adventure, and a strong desire to learn about sea otters and contribute to their conservation. Outreach and Education: These team members will assist with special events, workshops, school presentations and more. Outreach volunteers will help share information ranging from sea otter natural history, the important role of sea otters in coastal ecosystems, recognition and understanding of human-caused disturbance, and effective action for preventing disturbance and harassment with people of all ages. They will guide visitors in participation in a range of interactive educational activities and serve as ambassadors for sea otters and Sea Otter Savvy. Outreach volunteers contribute as needed based on scheduled events. If you are interested in working with kids, our Sea Otter Savvy in the Classroom program might be for you! 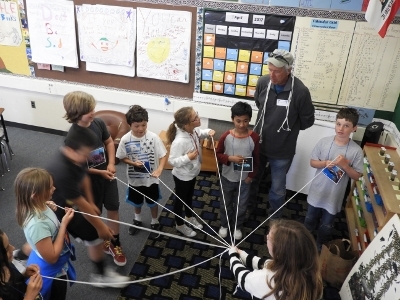 Join our team as they head out to classrooms throughout Central California sharing hands on, engaging activities that foster knowledge and stewardship of sea otters.